Larson, Gary. 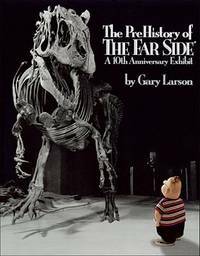 The Far Side - Paperback. Hernandez, Gilbert. Heartbreak Soup (No. 1 in series). From The Prehistory Of the Far Side � to The Groaning Board, from	Bc to Heathcliff Catch Of the Day, we can help you find the cartoons & cartooning books you are looking for. As the world's largest independent marketplace for new, used and rare books, you always get the best in service and value when you buy from Biblio.com, and all of your purchases are backed by our return guarantee. "The low, mean wit of Jim Unger makes Herman uncommonly hilarious." -- Chicago Tribune Celebrate Herman 's success with Herman: The Fourth Treasury . Herman is Everyman--he's a doctor, a waiter, a loan applicant, a duck, a Hun, even a she! He's that invariably hapless goof who wears a bow tie on his head and removable feet on his legs. Join the millions who already read Herman and become a new fan with Herman: The Fourth Treasury . Billy and the Boingers Bootleg is the fifth collection of the comic strip series Bloom County by Berkeley Breathed. It was published in 1987. It is preceded by Bloom County Babylon and followed by Tales Too Ticklish to Tell. The book includes a flexi disc with two Billy and the Boingers songs: "I'm A Boinger" and "U-Stink-But-I-♥-U".